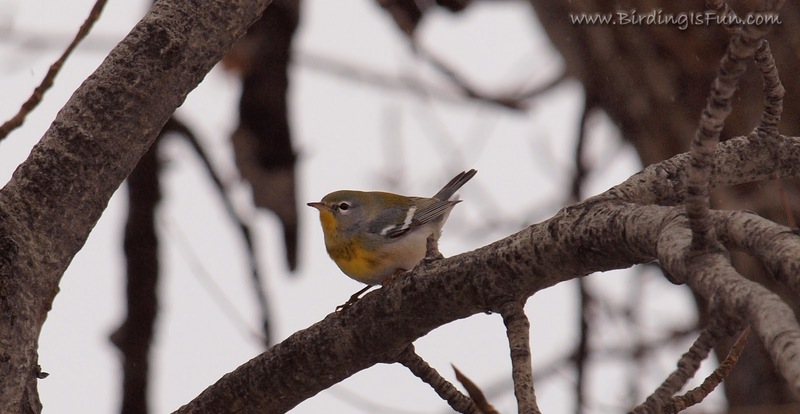 While I was in California visiting family for Thanksgiving, and not birding, I continued to receive e-mail reports about some nice rarities in Idaho that I was missing out on...a Yellow-throated Warbler (3rd in Idaho) and a Northern Parula (likely to be the 12th accepted sighting by the IBRC) . Yesterday, I had my wife drop me off near the Boise River Greenbelt to do my twitching while she ran errands. Unfortunately, I struck out on seeing the warblers. What was worse were the reports from other birders seeing them shortly after I left. Fortunately they stuck around and are still being seen today! I had one solid glimpse of the Yellow-throated Warbler, but no photo ops. The 1st Winter Northern Parula was a lot of fun to watch. 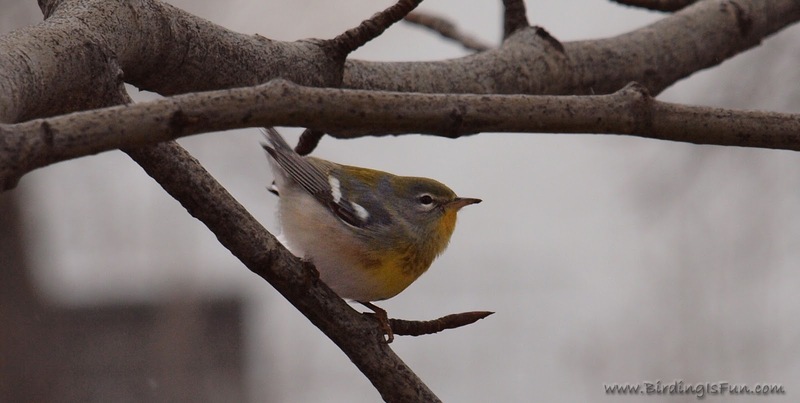 What a beautiful warbler! It came in close and if it wasn't for the skys being overcast and threatening snow, I could probably have gotten better photos, but these are pretty decent. 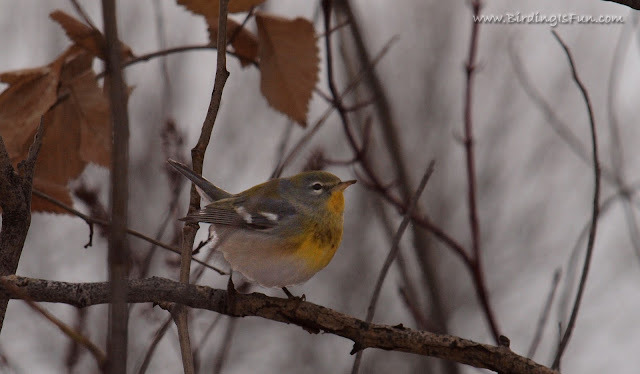 Now, in preparing to move out east, I have been gearing up mentally for spring warblers. 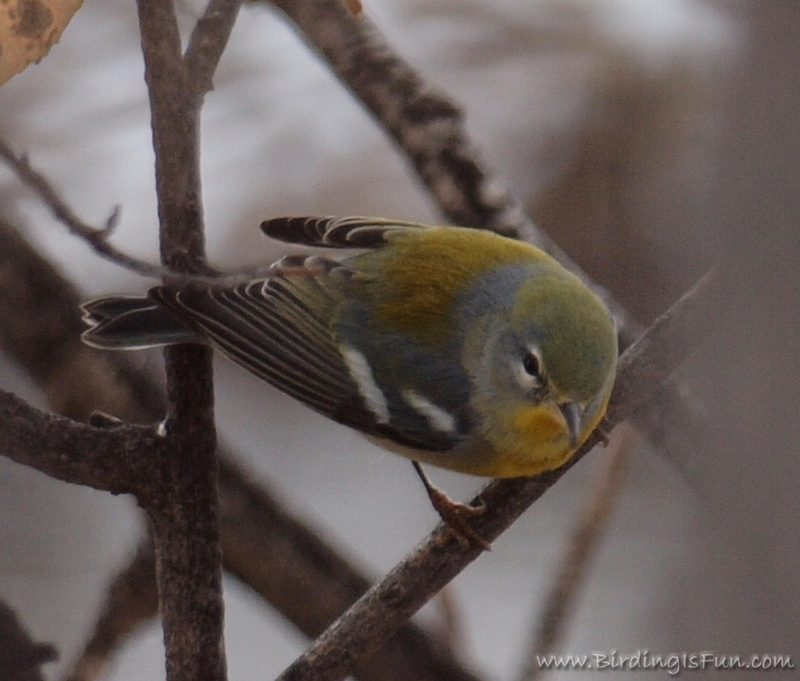 Now I'm thinkin', crazed vagrant warblers are coming to me in Idaho - in the middle of a snow storm! It seems the warblers were finding plenty to eat...for now. I wonder if these first year birds will survive an Idaho winter. Hopefully they wise up and move down to Arizona or some place warmer. I also had unsatisfactory views of my life Long-tailed Duck at Deer Flat NWR yesterday afternoon at a long binocular distance, but good enough to clinch the identification. Three life birds in two days is not bad at all! Funny you get both of those now, they're easily two of the most common breeding warblers in the Southeast! Nice for the Idaho list, though. Congrats on these three life birds! Well it does happen sometime, isn't it, and these are beautiful birds, so that's quite cool! You got nice pictures! 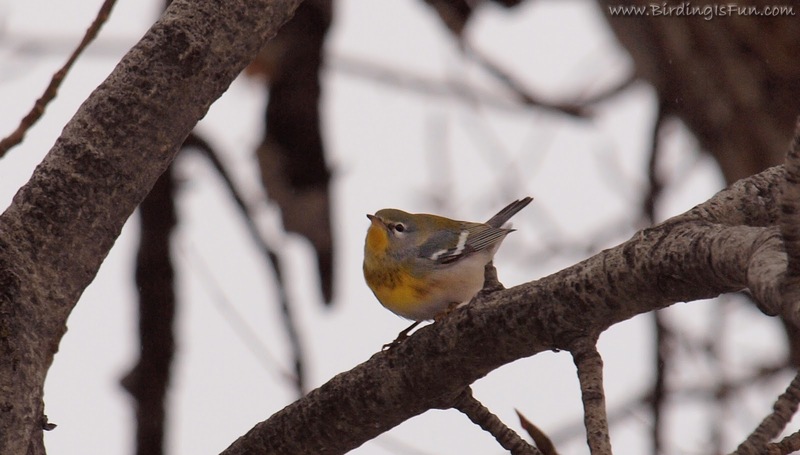 Lovely pictures of the Northern Parula despite overcast sky! You are moving out east? I'd love to move west at least right now when birds are few and far between. Excellent! Great birds. Any tips on location on the green belt to catch those warblers? They are being seen along the greenbelt behind the Shilo Inn on Main. 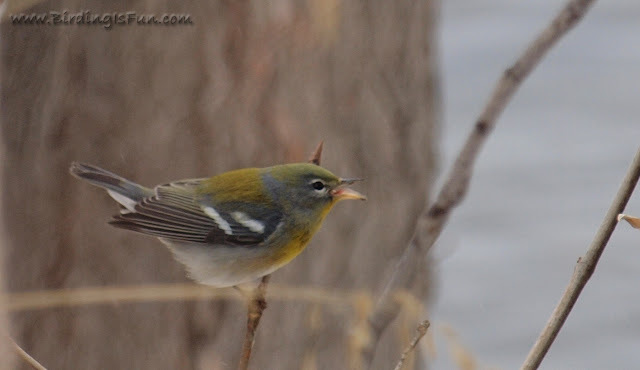 I encourage you to sign up for the IBLE Yahoo Group so that you stay in the loop with all Idaho bird sightings.